PLEASE NOTE THE CHANGE OF LOCATION FOR OUR APRIL MEETING! 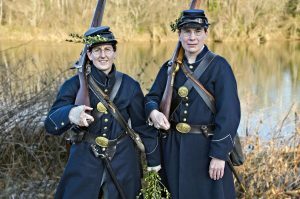 The Southern Maryland Civil War Round Table is pleased to announce that its next meeting will take place on Tuesday, April 9, 2019 at 7:00pm at the Maryland Veterans Museum, 11000 Crain Highway North, Newburg, MD 20664 . He’s Back! 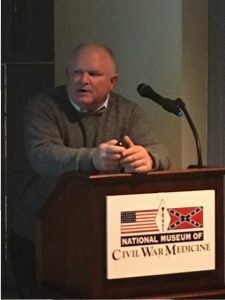 Join us this evening as for the first time in Southern Maryland Civil War Round Table history, we not only welcome back a speaker who has addressed the group before, but we welcome him back in the same season. Tonight’s topic: Fredericksburg! Serving as a prelude to our annual Spring Field Trip, for which Dr. Gottfried will serve as out tour guide, tonight Brad will give us an overview of the sights we will see and the events that occurred surrounding this seminal battle. All participants will receive handouts from Brad’s new book, “The Maps of the Fredericksburg Campaign.” The discussion and tour will cover the fighting along Prospect Hill, the Slaughter Pen, the Rappahannock River crossing and subsequent engagement in the town, and of course, Marye’s Heights and its associated stone wall. Dr. Brad Gottfried combines a long and distinguished career of outstanding leadership in higher education with an expertise of the Gettysburg Campaign. 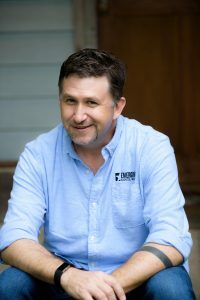 After receiving his Ph.D. from Miami University, Brad was a full-time, tenured professor at the college level for eleven years before entering higher education administration. 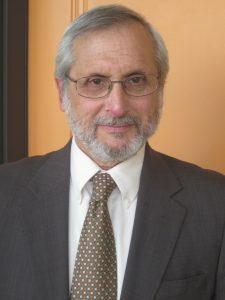 He ultimately served as President/Chief Executive Officer of three colleges (University of Wisconsin-Fond du Lac, Sussex County Community College, and College of Southern Maryland) for almost 25 years. Gottfried has received a number of national and regional awards and recognitions for his leadership including: the NCMPR National Pacesetter of the Year and Leadership Maryland’s Gold Leadership Award,. Brad retired in 2017 and is devoting his life to the study of the Civil War and the traits of effective leaders. 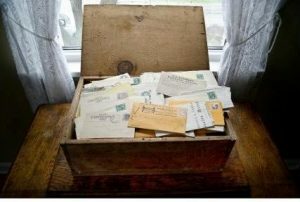 As an historian, Brad has authored twelve books and four additional works are moving through the editorial process. Most of his recent works involved maps studies of Eastern Theater Campaigns and include volumes on First Bull Run, Maryland Campaign, Fredericksburg, Gettysburg Campaign, Bristoe Station/Mine Run, and the Wilderness. Prospect Hill, where George Meade’s division almost knocked Stonewall Jackson’s Corps off the heights and came close to winning the battle. 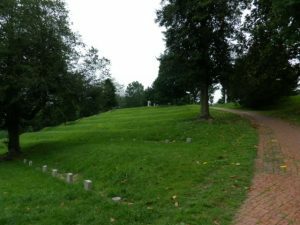 This phase of the your includes a walk along the Slaughter Pen, Pelham’s Corner and Prospect Hill. 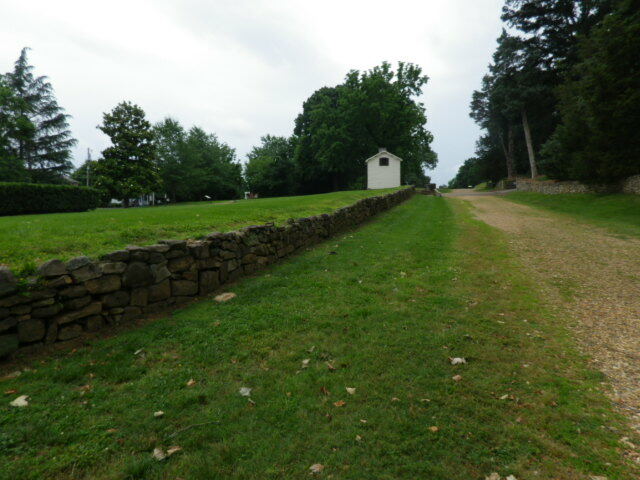 Mayre’s Heights, including the stone wall, with a stop at the National Park Service Visitor’s Center and bookstore. The Town of Fredericksburg, including the river crossing by the Union II Corps, and a variety of interesting sites. The tour begins in LaPlata at the College of Southern Maryland campus, where we will board a chartered bus for the trip to the Fredericksburg Battlefield. 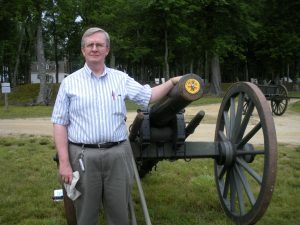 The tour will be under the guidance of Dr. Brad Gottfried, former president of the Southern Maryland Civil War Round table and noted author of twelve books on the Civil War, including his latest, The Maps of Fredericksburg: An Atlas of the Fredericksburg Campaign. 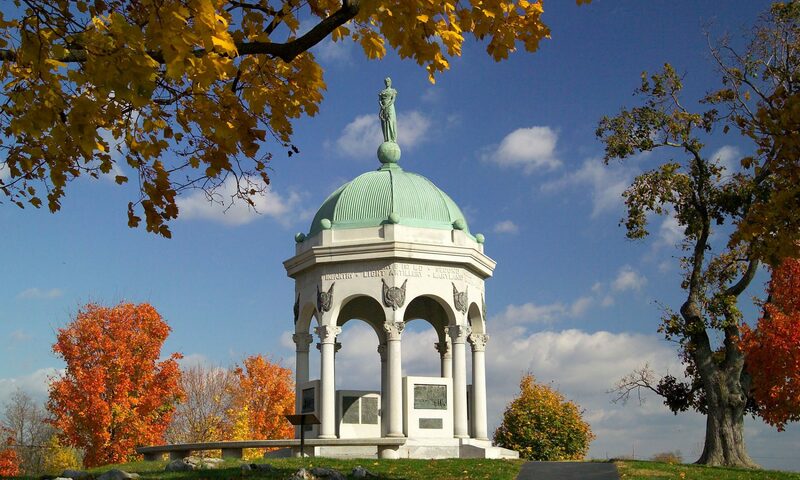 The Cost of the trip (bus, lunch, maps and guide) is $55 for members and $65 for non-members. Save money through early bird registration (March 12, 2019): $50 for members and $60 for non-members. For additional information, or to register, contact Ben Sunderland, SMCWRT President, Phone: 443-975-9142, or email: bsunderland@somdcwrt.org. The Southern Maryland Civil War Round Table is pleased to announce that its next meeting will take place on Tuesday, February 12, 2019 at 7:00pm at the College of Southern Maryland’s Learning Resource Center, Room LR-102, at 8730 Mitchell Road in La Plata, MD. Having joined us last year to discuss with us his book, “The Ambush of the Isaac P. Smith, Family Ties and the Battle on the Stono, January 30, 1863″, Mr. Gary Dyson returns to the Southern Maryland Civil War Round Table, to present, “A Civil War Correspondent in New Orleans“. 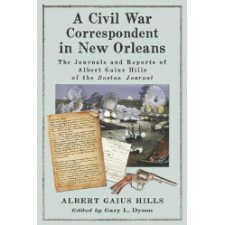 “A Civil War Correspondent in New Orleans” explores the eyewitness account of Boston Journal War Correspondent Albert Gaius Hills from the day he left Boston Harbor in November 1861 through the New Orleans Campaign of 1862. 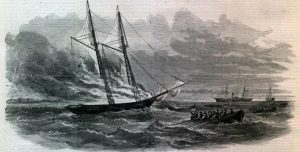 Hills recorded his observations while with the Union fleet in the Gulf of Mexico and on Ship Island as well as his account of the bombardments of Forts Jackson and St. Philip and impression of captured New Orleans. Hills’ life and his relationships with other correspondents are also part of the presentation. Gary L. Dyson is a retired Environmental Specialist from the city of Gaithersburg, MD and a former Marine. 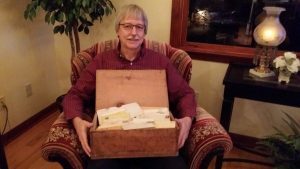 He is a lifelong history enthusiast and has spent countless hours reading, researching and exploring battlefields – from the French and Indian War to World War II. 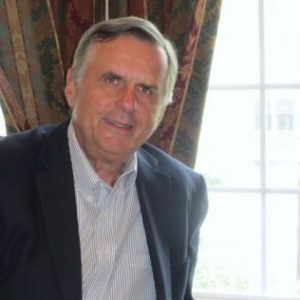 Gary owns Dyson Genealogy and Historical Research and is the author of “Ambush of the Isaac P. Smith” and “A Civil War Correspondent in New Orleans, the Journals and Reports of Albert Gaius Hills of the Boston Journal.” He has a BS in Natural Resources Management from Oregon State University. 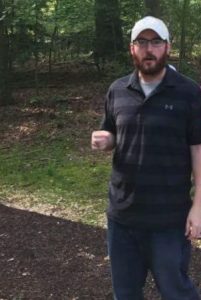 Gary lives in Mount Airy, MD with his wife Emily and has two children away at college. He is also a board member for the Frederick County Civil War Round Table. We invite everyone to join us and Mr. Dyson, as we learn about how one member of the press covered the Civil War. The Southern Maryland Civil War Round Table is pleased to announce that its next meeting will take place on Tuesday, January 8, 2019 at 7:00pm at the College of Southern Maryland’s Learning Resource Center Room LR-102, at 8730 Mitchell Road in La Plata, MD. The new year kicks off with the Southern Maryland Civil War Round Table welcoming back its first past president, Dr. Brad Gottfried, as he discusses a place near and dear to us; Point Lookout! The Point Lookout Prisoner of War Camp was the largest Northern internment site for Confederate prisoners. The population topped over 20,000 late in the war and over 50,000 prisoners spent time at the camp. Located at the tip of St. Mary’s County, the War Department deemed the site to be an ideal mix of proximity to battlefields, isolation, ease of defense, and mild weather. In this presentation, Brad and Linda Gottfried will describe the origins of the prison and the large hospital (Hammond Hospital) also housed nearby, life and death in the prison, and will touch on the politics surrounding these camps as the war became increasingly intense. The Gottfrieds will have copies of their new Point Lookout Prisoner of War book for sale. Join us tonight as we welcome Mr. Gene Schimel, who will discuss Union General Jacob Cox and the Battle of Franklin, TN. Gene Schmiel is a student of the Civil War whose book, “Citizen-General: Jacob Dolson Cox and the Civil War Era,” was published in 2014 by Ohio University Press. 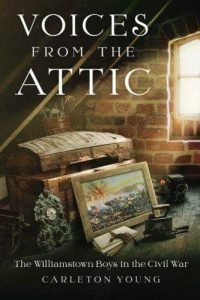 The book, a History Book Club selection, was labeled “best biography of the year” by the Civil War Books and Authors web-site. Gene holds a Ph. D. degree from The Ohio State University and was an assistant professor of History at St. Francis University (PA) before becoming a foreign service officer with the Department of State. He resides in Gainesville, Virginia with his wife Bonnie Kathryn. Together they wrote a book, “Welcome Home: Who Are You; Tales of a Foreign Service Family,” which is featured on his amazon.com author’s page: https://www.amazon.com/Gene-Schmiel/e/B00HV4SSWK?ref_=pe_1724030_132998060. 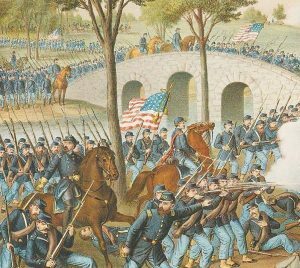 The Southern Maryland Civil War Round Table is pleased to announce that its next meeting will take place on Tuesday, November 13, 2018 at 7:00pm at the College of Southern Maryland’s Learning Resource Center, Room LR-102, at 8730 Mitchell Road in La Plata, MD. Tonight we take a look at arguably one of America’s greatest fighting generals and his battle against a foe that not even he could outflank. We welcome Chris Mackowski and he discusses his book, “Grant’s Last Battle: The Story Behind the Personal Memoirs of Ulysses S. Grant“. Facing financial ruin and struggling against terminal throat cancer, Ulysses S. Grant fought his last battle to preserve the meaning of the American Civil War. 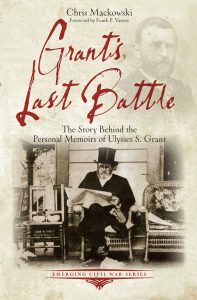 His war of words, The Personal Memoirs of Ulysses S. Grant, would cement his place as not only one of America’s greatest heroes but also as one of its most sublime literary voices. 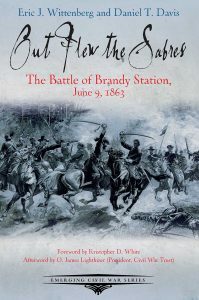 The Southern Maryland Civil War Round Table is pleased to announce the beginning of its seventh (7th) season by welcoming Mr. Daniel Davis, co-author of “Out Flew The Sabres” The Battle of Brandy Station. Following his twin victories at Fredericksburg and Chancellorsville, Robert E. Lee was poised to launch a second Northern invasion. A key element of moving his Army of Northern Virginia from the Rappahannock to the Potomac was to screen the infantry march from the Union cavalry. To this end, Lee directed his cavalry commander, Maj. Gen. Jeb Stuart to assemble his force in Culpeper County. It was not long before this concentration was discovered by the Federals. With fears that Stuart was about to launch one of his famous raids, the Union high command planned an expedition of their own to destroy Stuart’s force. The ensuring battle lasted 14 hours and opened the Getttysburg Campaign.